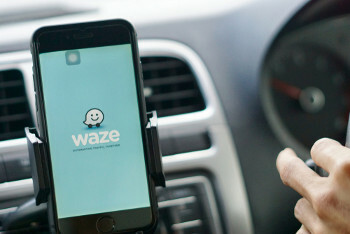 ‘Waze changed everything,’ the taxi driver says. The Police have closed a road miles away but the driver already knows and is taking a different route. He knows because Waze told him, or rather the other drivers told him, though they had no rank to pull up at and no café where they could spread the news. Business model – ads are put in the app at safe times e.g. you are driving along and a little ping will show you where a Shell or BP station is. Waze mixes crowd-sourced, anonymised real-time GPS data and machine learning to build maps and calculate traffic flows but it also allows users to report incidents and disruption. In the case of its thousands upon thousands of ‘editors’ and 'power users', volunteers spend hours – sometimes up to five hours a day - updating the maps using local knowledge and even highway and transport authority data. There is a hierarchy of editors to ensure quality control of the data. This reporting and editing function is one of the most important aspects of the Waze App and has seen it secure around 800 ‘city partners’ around the world. In London, Waze has secured a free deal with Transport for London (TfL) that has seen it become a key element of the authority’s data gathering. In return for giving TfL its traffic data, Waze receives information on London road closures and delays. Around half of Waze’s UK users are based in the capital. Waze UK country manager, Finlay Clark, says: ‘When we suggested this to TfL at first they felt no way is crowd sourced data going to be that accurate. Within a year and a half of working with us, crowdsourced data is now the number one source of data. ‘We report around 600 accidents a month. That is because it is easier to report on Waze than to pull over, phone 999 and then the issue ends up back at TfL. Highways England is also now in talks with Waze. Customer service manager Mel Clarke told us that ‘crowdsourced data gives you really valuable data on what is happening on the network more valuable than any device we currently have on the network’. The congestion and incident data might only be the tip of the iceberg. Waze is reported to be involved in a raft of interesting projects that move the App from saving time to saving lives. It is in trials across Europe to support emergency services. When Waze users’ reports are fed back to emergency services they have been found to help the blue lights locate incidents quicker, while emergency services registering incidents on Waze have found it decreases the number of people phoning in to report an incident that is already known about. During hurricanes in America, Waze editors have set up virtual emergency units, providing information in real-time to help people locate shelters and other forms of support. It is also involved with the Alan Turing Institute and the Greater London Authority in building a model for predicting air pollution. Interestingly, one area Waze does not appear to be pushing into is public transport.